To understand why Saudi Arabia changed course and decided OPEC should go back to managing supply, look at two of the kingdoms biggest policy challenges: the urgent need to plug holes in its budget and the plan to sell a stake in the state-owned oil monopoly. 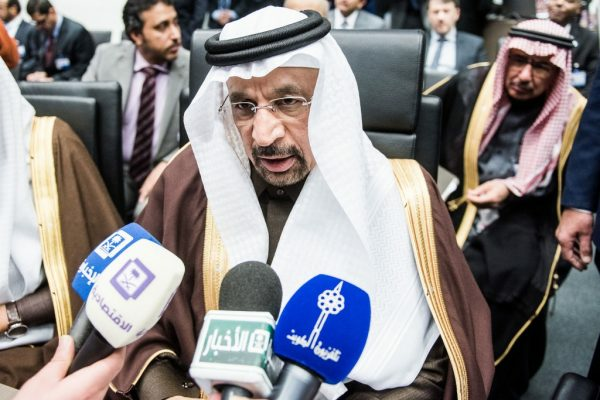 Two years after the worlds biggest exporter backed the Organization of Petroleum Exporting Countries switch to a pump-at-will strategy to defend market share, Saudi Arabias oil minister promised to bear the biggest burden in curbing global supply. The market response suggests it may have been the prudent thing to do. By promising to cut production by just 4.7 percent, the country gained an 18 percent jump in oil prices.